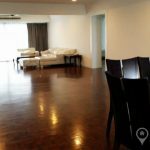 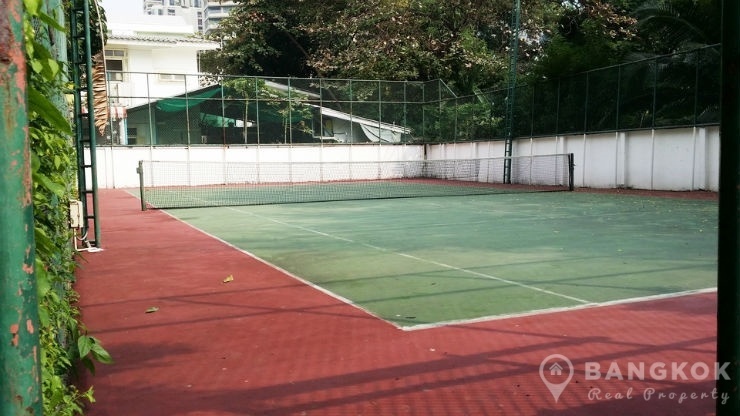 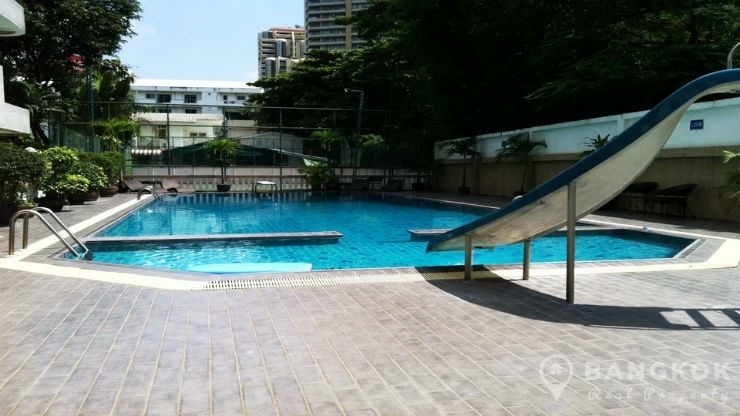 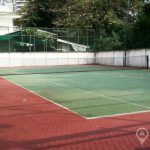 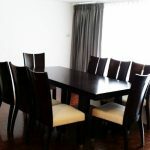 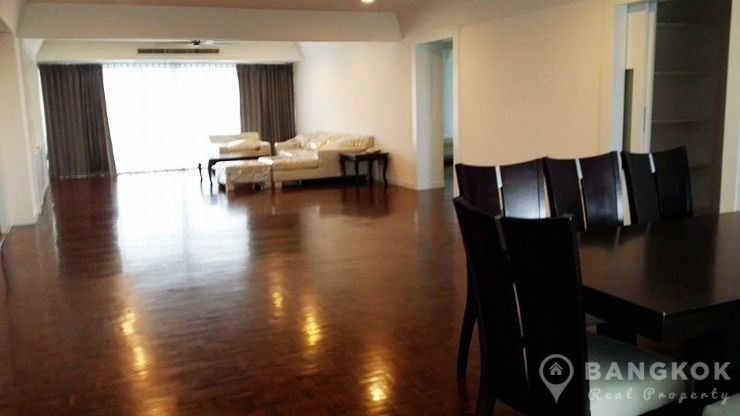 This very spacious, 3 bedroom Asoke apartment is available to rent, centrally located just off Sukhumvit 12 in the heart of Sukhumvit’s business district and only 10 minutes walk to Sukhumvit MRT and Asoke BTS. 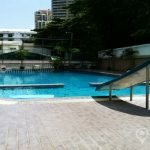 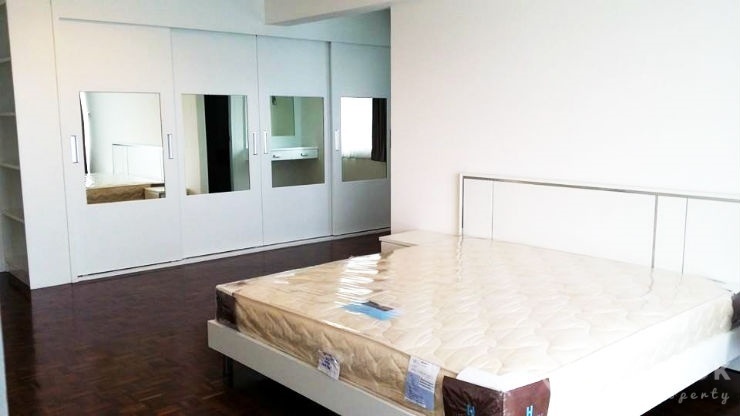 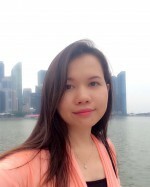 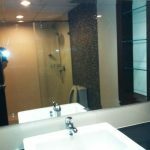 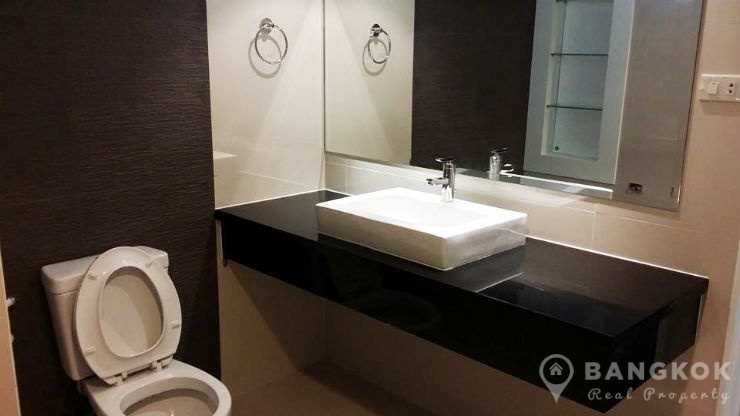 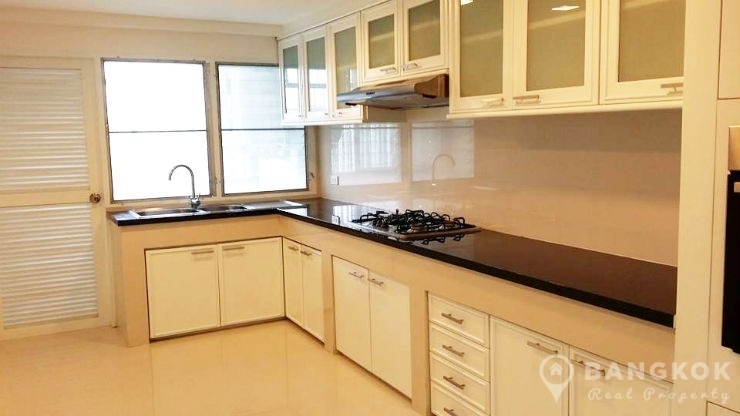 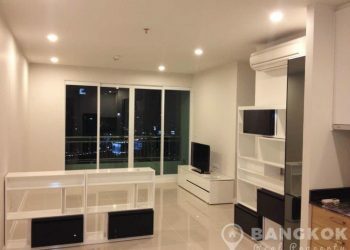 This professionally managed Asoke apartment building with 10 floors offers the best facilities for city centre living and is within walking distance of Terminal 21, EmQuartier, Exchange Tower, True Fitness, Villa Market, Samitivej Sukhumvit Hospital, NIST International School and Benjakiti Park & Lake. 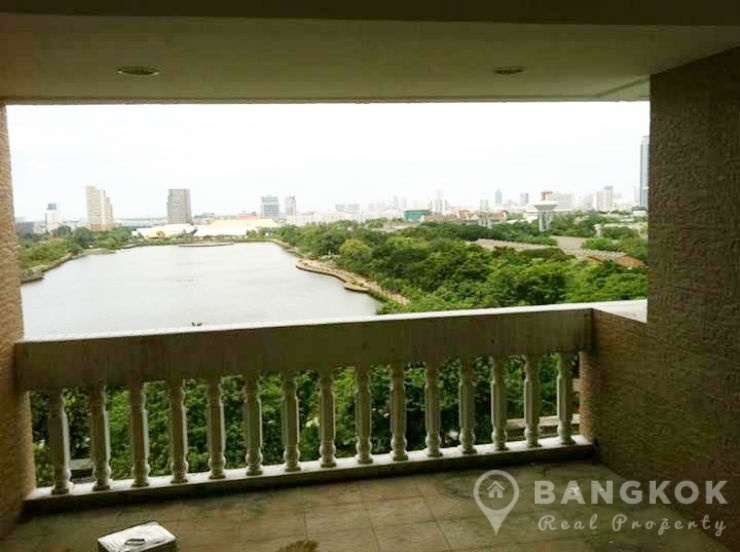 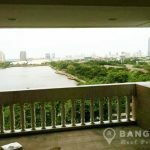 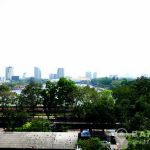 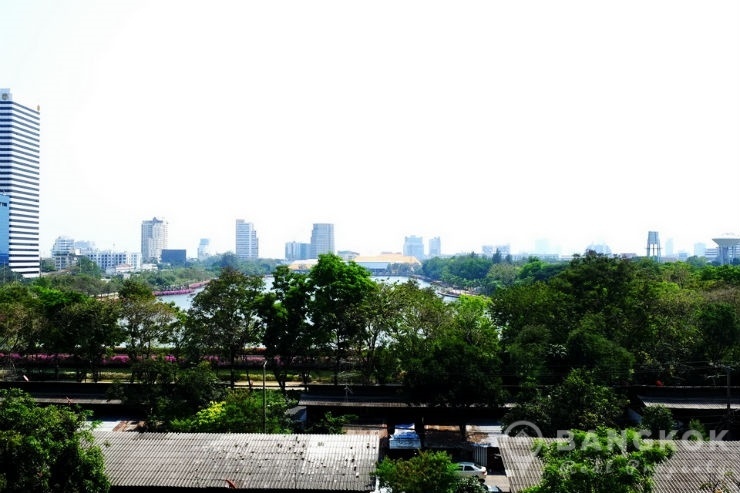 Situated on a high floor this Asoke apartment has 300 sq.m of living space with a large terrace overlooking Benjakiti Park and Lake. 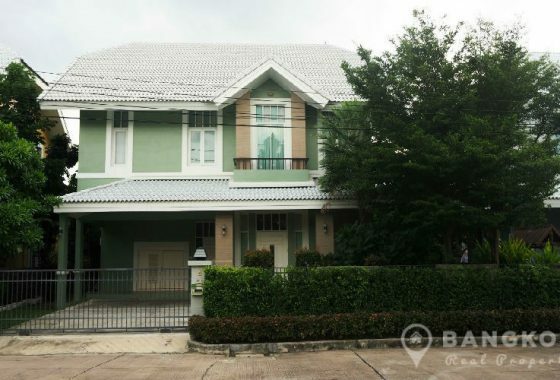 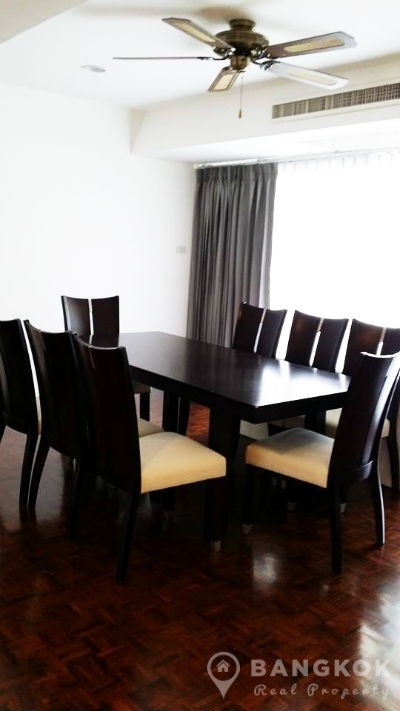 The apartment has 3 double bedrooms, 4 modern bathrooms, spacious open plan living – dining room, fully furnished with quality furniture and modern air conditioning and hardwood parquet floors throughout. 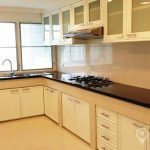 There is a large separate fully fitted European style kitchen with extensive built in units, gas hob (stove), electric oven, washing machine, microwave and large fridge-freezer. 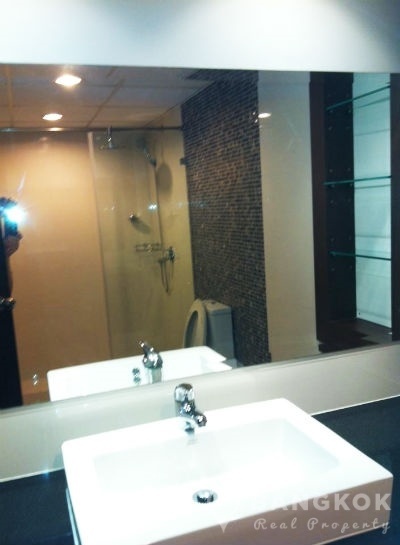 There is also a maids room and storage. 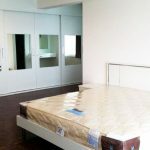 The master bedroom and 2nd and 3rd bedrooms are ensuite, the master having a bathtub and there is a guest bathroom off the livingroom. 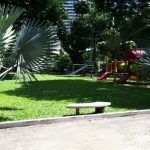 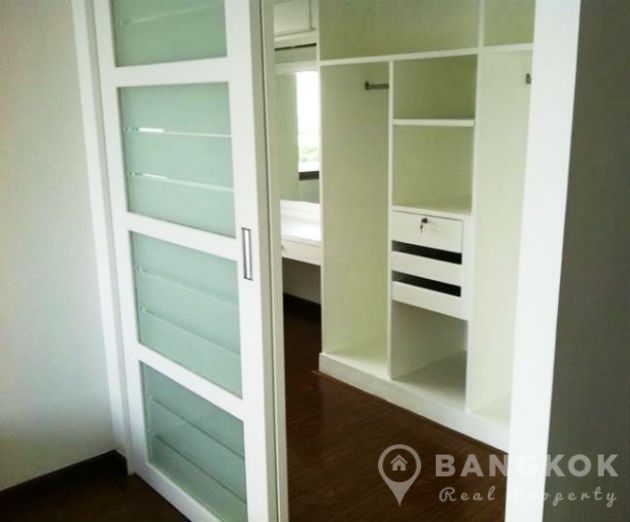 A spacious, modern, 3 bed, 3 bath, family sized apartment located just off Sukhumvit 21 (Asoke), only 5 minutes walk to Sukhumvit MRT and Asoke BTS. 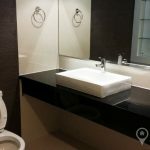 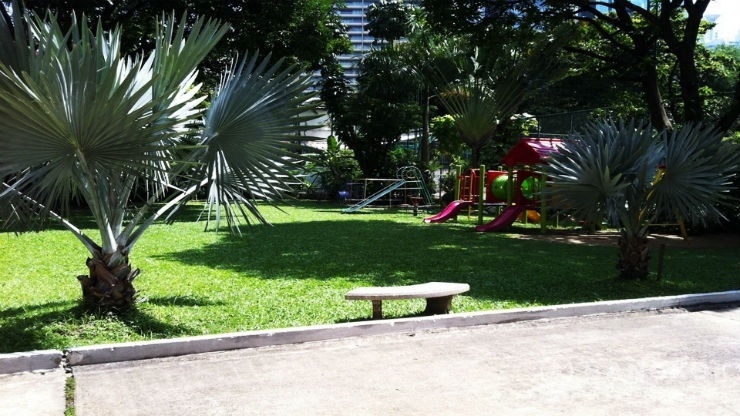 This professionally managed Asoke apartment building with 23 floors offers the best facilities for city centre living.